Good day dear readers, if you have been following my blog you should have red my previous tutorial on how you can generate mass email online for free But today am going to show you how you can make use of the generated emails and send bulk email messages with them online for free. This trick is not known by many . I was just browsing through the net as usual when i discovered it myself and i decided to share it with all kingswebers here for free. Having generated the email addresses You will have to separate all of them with comma quote. In the first text area section paste all the emails you have copied from your mass email generator and click on Convert. After loading just scroll to the next box and you will see all the emails separated with comma quotes. You can now copy them and save them on your notepad or text editor so that you can be using them any time you want them.Now to send your message simply follow bellow tutorial. 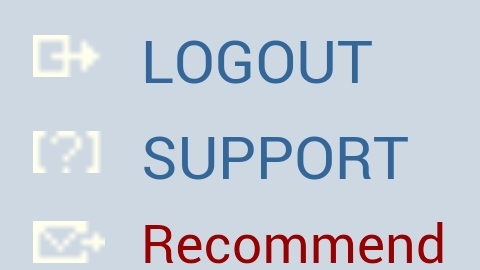 after that scroll down and click on Recommend this site and you will receive a notification pop out that your message has been successfully sent. Now when the owners of the emails owners login they will see your message directly in their inbox...Don't expect click from all the generated emails some may have died while others might have dumbed their emails but the probability that you will get more clicks are very sure especially when you generate like 5,000-15,000 emails. 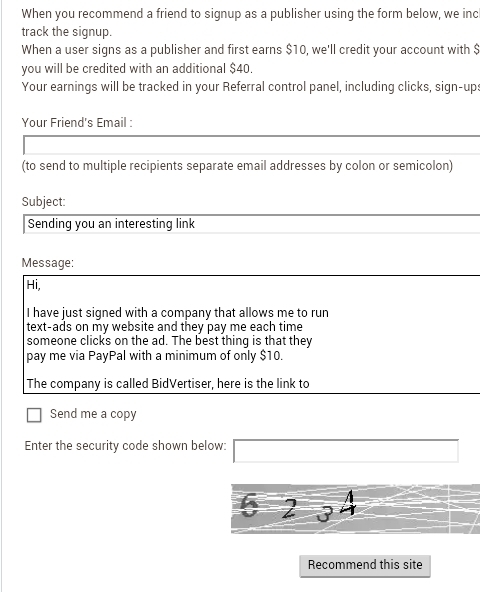 1 Response to "How to send bulk email messages online for free using Bidvertiser"